With fall in full effect—have you looked at the trees? !—and winter on its way, it’s about time we start getting serious about ankle boots, and with good reason. After all, they’re only the most useful cold-weather footwear option around! Not to mention they’re always in style, incredibly chic, and incomparably versatile. I mean, how many shoe styles can you say look good with skinny jeans, flared jeans, cropped pants, long pants, miniskirts, midi, and maxi skirts and dresses… You get the picture. 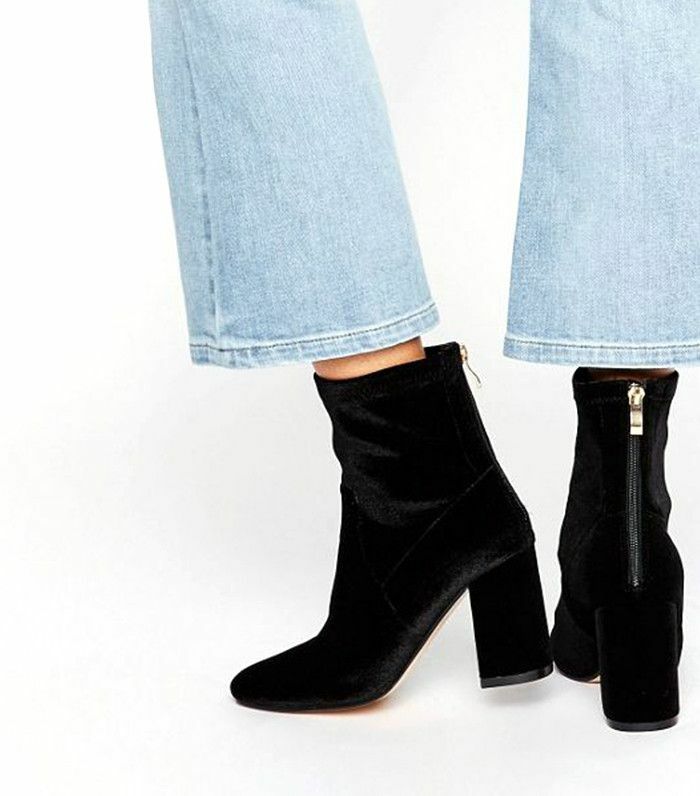 So today we've rounded up the most stylish ankle boots on the market right now, with options for every budget. If you don’t have a pair you love in your arsenal yet, or you feel like you could benefit from another, shop now or forever hold your peace. It wouldn't be a roundup this season without at least one velvet pick! Check out more holiday picks from H&M! These will tuck under all your favorite jeans perfectly. Who would have thought stars, patent leather, and a slanted heel would come together so perfectly? We'll always be into western boots. Would you ever guess these were vegan? Navy is an easy way to transition out of your all-black uniform. Add some edge to your look with this studded pair. We love this rich color. A classic Chelsea boot will always be in style. Style these with cropped flare jeans and trousers for a sleek look. These fashion-forward boots will look so chic with midi dresses and skirts. If pink boots aren't your speed, not to worry, these come in neutral beige too! You can't go wrong with sleek and simple. This color pairs so perfectly with denim. We'd be happy with any of this season's Balenciaga boots, but if you're looking for the perfect pair in black, these are it. Now that you've got the boots, check out this outfit inspo.